The Centers for Disease Control and Prevention (CDC) says they are prepping for another round of post-Easter Salmonella this year. 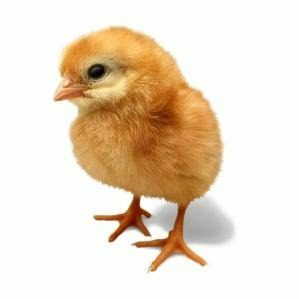 After Easter last year, the CDC reports that 68 people were infected with Salmonella related to baby chicks and ducklings that were given as Easter presents. Most of the sick were young children. According to the CDC, Salmonella can cause diarrhea, fever, and abdominal cramps. The CDC says that Salmonella bacteria can live in the intestine of chicks and ducklings, and that their feces can be contaminated with the bacteria. They say that children can be exposed by petting, cuddling and kissing a chick. Most of the time, chicks and ducklings that carry Salmonella due not appear sick. Other groups of people that are considered to be at a heightened risk to Salmonella infection include those with weakened immune systems, such as those with HIV/AIDS, the elderly, and pregnant women. The CDC advises that live animals should not be given as Easter gifts, that children under 5 should not handle young birds, and that hands should be washed immediately after handling chicks, ducklings, and any equipment or habitats the young birds have been in contact with. According to the CDC, nearly a third of last year’s infections were reported in children under six. Faroh Sauder has spent more than 30 years working as a journalist and educator. He has written on politics, international affairs, civil rights, and consumer education. Now mostly retired, Faroh continues to stay current on tech and consumer issues and reports on his interests here at News For Shoppers.